A swap line is another term for a temporary reciprocal currency arrangement between central banks. That means they agree to keep a supply of their country's currency available to trade to another central bank at the going exchange rate. Banks use it for overnight and short-term lending only. Most swap lines are bilateral, which means they are only between two countries' banks. The purpose of a swap line is to keep liquidity in the currency available for central banks to lend to their private banks to maintain their reserve requirements. The liquidity is necessary to keep financial markets functioning smoothly during crises. It reassures banks and investors that it's safe to trade in that currency. It also confirms that the central banks won't let the supply of that currency dry up. It's another monetary policy tool. The Federal Reserve operates these swap lines under the authority of section 14 of the Federal Reserve Act. All swaps must comply with authorizations, policies, and procedures established by the Federal Open Market Committee. On December 12, 2007, the Federal Reserve opened a dollar swap line with the European Central Bank and the Swiss National Bank. On September 18, 2008, the FOMC authorized a $180 billion expansion of its swap lines, extending them to the central banks of Japan, England, and Canada. The Fed worked in conjunction with other central banks around the world to stop the banking panic that temporarily shut down money market accounts. It followed the bankruptcy of Lehman Brothers and the unprecedented $85 billion bailout of AIG. From September 24 to October 29, 2008, the Fed extended its dollar swap to Australia, Norway, Denmark, New Zealand, Brazil, Mexico, Korea, and Singapore. It indicates how the banking panic, which started in New York, had spread throughout the world in just six weeks. It also shows the steps the Fed needed to take to support the U.S. dollar's position as the world's global currency. If the dollar were ever going to collapse, it would have done so at that time. In October 2013, the ECB agreed to a three-year currency swap line with the Central Bank of China. The ECB received instant access to 350 billion in yuan, and China has instant access to €45 billion. 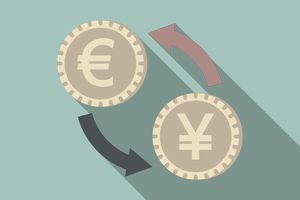 The swap arrangement creates liquidity in case of emergency, making it safer for Eurozone banks to do business in yuan instead of insisting on dollars or euros. China also created swap lines with Hungary, Albania, and Iceland. Central Bank's goal is to release the yuan from its peg to the dollar in time. That's necessary for the yuan to become one of the world's top reserve currencies. Central bank swap lines keep the global financial system functioning by providing the credit it needs for day-to-day operations. Without this credit, grocery stores couldn't pay truckers to deliver food. Gas station owners wouldn't be able to order new tanks to refill the ones that go dry. Your employer would ask you to work without being paid this week. You might think this could never happen, but it almost did on September 17, 2008. That's when credit started to dry up, and businesses panicked. They started withdrawing their overnight cash deposits held in money market accounts. The Fed created several tools to support liquidity in the money market accounts, restoring confidence at that time. The U.S. Treasury Secretary Hank Paulson worked with the Fed to go to Congress and ask for a $700 billion bailout to reassure the financial industry. In this case, the swaps were not enough to reassure markets.